Finally the biggest mall in Chennai has opened. A mall which surpasses the Express Avenue in space and grandeur, a mall which houses Chennai's first IMAX screen: the one and only Phoenix Market City! It is located in Velacherry. I was here today along with my mom to have a look around the Mega landmark of Chennai. Today all the roads seem to lead to Phoenix City. It was that bursting with people. We were here post-lunch and we decided to grab a cup of coffee because all that loitering about and gaping at the shops made my mom tired! The Coffee Bean and Tea Leaf, housed in 1st Floor of the mall, is where we headed to. The place was packed tight and we had to wait a few minutes before we could get a seat. 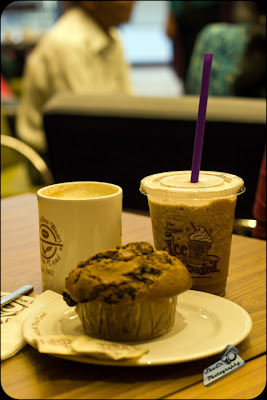 I ordered a Ice Blended Mocha, while my mom ordered Cafe Latte and we decided to share a Chocolate Chip Muffin. 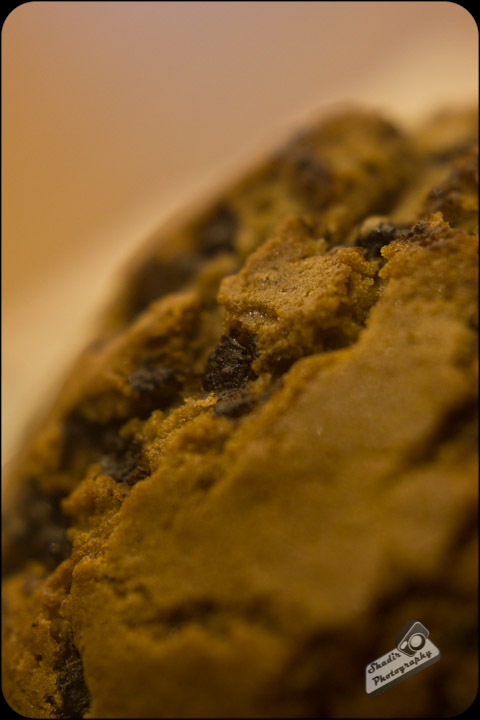 The muffin was huge, and definitely four people could share it with ease. While both the coffees were fantastic. It had the right blend of coffee with very small amount of milk. If you are the kind of person who likes Barista then you would love this. It is a very small outlet with about a 20seats. It would be really difficult to get a seat on peak days for sure. The outlet looks really neat. Service is really quick. It is almost like they are ready to throw you out with their service speed. Most drinks are priced a touch higher than the outlets we are used to. But it is worth the bite! 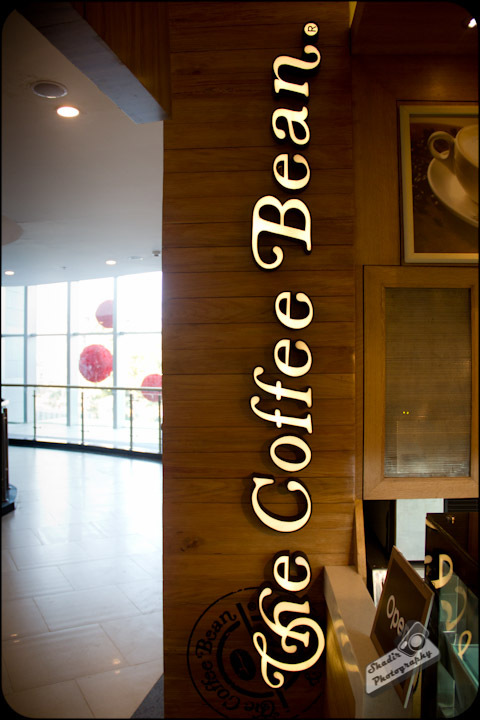 The Coffee Bean and Tea Leaf is located on the 1st Floor of Phoenix Market City on Velacherry Main Road. do they have their signature cheese cake? Haagen-Dazs, KNK Road - Launch!